Violet Craft, wife, mother, maker and designer for Michael Miller Fabrics, released a new collection this summer. 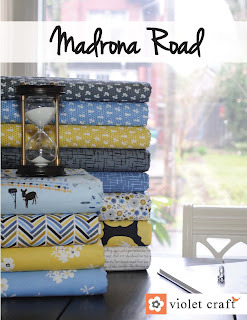 Madrona Road evokes images of the western sun, flowers blooming and great adventures. Violet stopped by to chat with us about her line, her inspiration and to give us a peek inside of her inspired life. 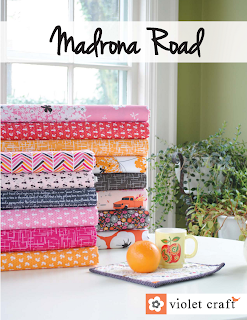 Q: To what or whom would you dedicate the Madrona Road collection? 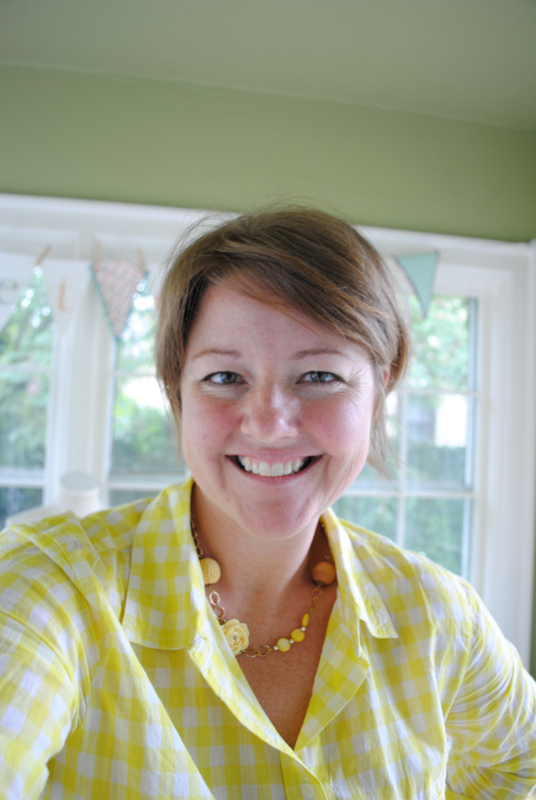 A: This collection is most definitely dedicated to my husband, Justin, and my daughters, Mia and Cannon. They complete my Memoir and without that print, the rest of the collection wouldn't exist as it does. 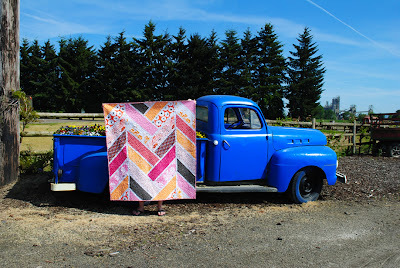 A: I am personally fond of my Broken Herringbone quilt. 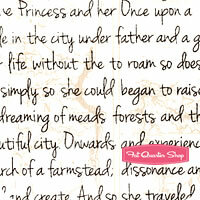 I want to get started on a queen size for our bedroom using just the gray, black, brown and wheat prints right away! 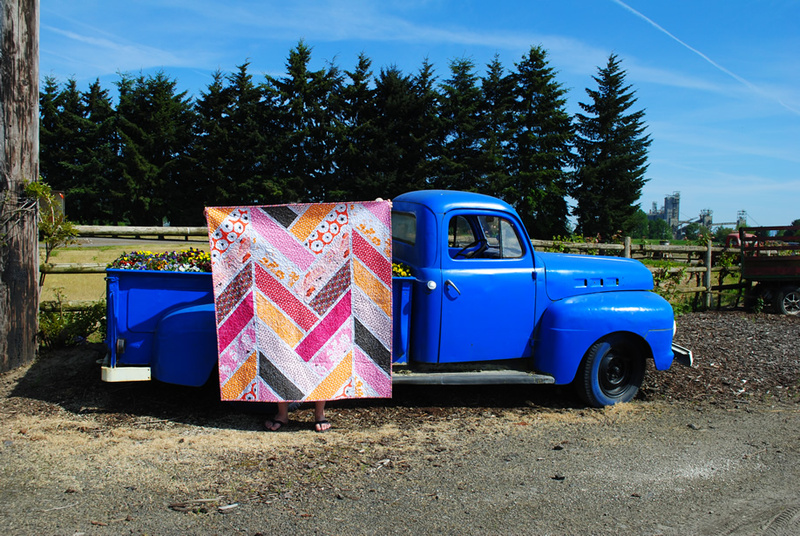 The pattern will be available in early August. 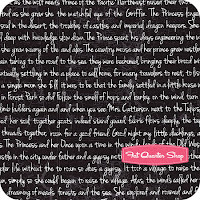 A: Although I would love to visit many different times, I'd prefer to be right here, right now. I am pretty darn happy with my life right where it is! A: Since I would only change my name if I absolutely had to, I think I would probably go with something like George. A: Dr. Who, but I haven't seen ANY of the new ones yet. A: Amy Butler and Bruce Willis, but obviously I was WAY more intrigued by Amy Butler.